A comprehensive Skullcandy Lowrider Review. The advantages, disadvantages, and cheapest place to buy. Are they good value for the money? 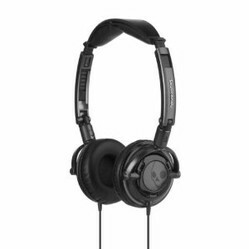 The Skullcandy Lowrider series of headphones are easily the most affordable high performance headphones on the market. You can invest upwards of $100 in a state of the art model from Sony, but the increase in sound quality is not all that great compared with the increase in price. Skullcandy delivers cost savings and quality with their Lowrider series. Especially if you do not like using ear buds, these headphones make it easy to drown out the world when needed. The in-line mic feature seamlessly accommodates Apple products like the iPhone or any other Smart Phone device. 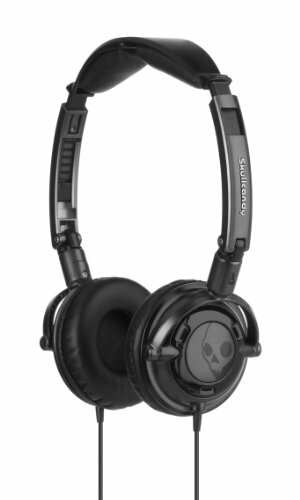 There are many things to like about the Skullcandy Lowrider series. The following are the critical high points and the low points of these headphones. Rather than summarizing the features (which Amazon does nicely already), this review highlights real user experiences. Highly Affordable: The price for these headphones cannot be beat. They certainly are not cheap supermarket check-out aisle quality, but they are not that much more expensive (about $30 on Amazon). This is a great price point for most people who just want a good pair of headphones without spending over $50. Killer Bass: For headphones in this price range, the bass is industry leading. If you are the type of person who appreciates a good set of party headphones, you will not be disappointed. The person sitting next to you might.....but it's all about you right? Comfortable to Wear: The Skullcandy Lowriders' are snug without being tight. The padding around the ears is classy and comfortable, perfect for long car/bus/train/plane/ship/spaceship rides. Portable for their Size: Earbuds might be easier to carry on the go, but for full size over-ear headphones the Skullcandy Lowrider are relatively easier to take with you on the go. The ear pieces are small enough and fold in neatly for easy stowing. Portability is definitely an underrated quality in headphones. Good Overall Sound: Now, I will not say the sound is earth-defying, but it is solid. As mentioned before the solid base is great for music with beats.The treble is also pretty good for most music.When it comes to sound, these headphones are a great value. No concerns here. Longevity: If you are relatively careless with your headphones then do not expect the Lowriders' to last long. The construction is plastic and not exactly durable, although they can last for years if properly taken care of. The beauty of these headphones is that they are thirty dollars to begin with, meaning that they are still smart investment. For example, you can pay close to $100 for a higher end set that lasts three years vs. paying $30 for the Lowriders' that will probably last two years. Is it worth the extra money? That is up to you. A comprehensive Klipsch Mode M40 Review. Before you buy, read this. Pros and cons included.